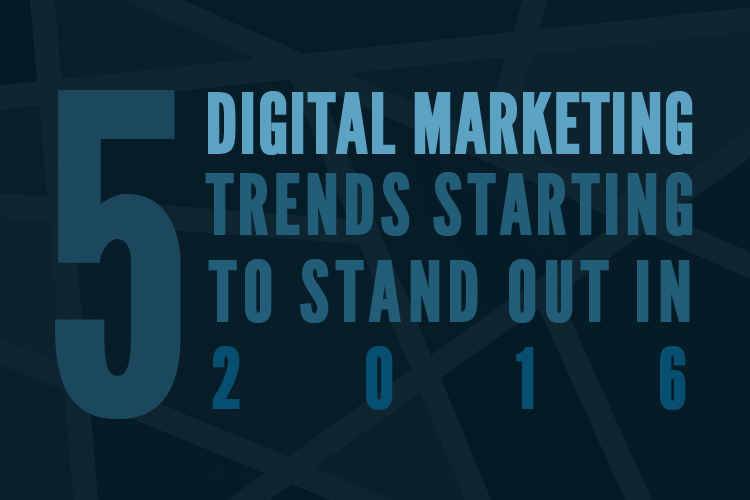 Digital marketing trends keep changing every year. It is important for a digital marketer to analyze the changing trend. Are you a digital marketer? Do you want to know about the latest digital marketing trends of 2016? Here are some points that will give you a short insight about the new trends in digital marketing. There is a rapid increase in the video advertisement in today’s world. This has become one of the biggest online marketing changes. YouTube is one of the top social media sites where you can find a lot of video ads. Next to YouTube is the Facebook and Bing, both offers video advertisements. Now, Google has combined video content in its SEO algorithm. Thus, it has become companies to include this factor in their digital marketing efforts to get a success. Mobile phone has become an important device and it is expected that percentage of people using mobile phones will increase in upcoming years. Today most people use internet on their mobiles phones and thus mobile responsive websites play an important role in digital marketing. Mobile apps have become more convenient for the users than normal websites. Check out the new Google app indexing feature that helps companies to promote their mobile apps. Have you heard of virtual reality? It is an artificial environment created with software, this is a famous term among the digital marketers. You can find number of new technologies emerging in the market that can help you in digital marketing. For example, wearable technology is an innovative creation which needs to be marketed with short, catchy messages in order to stand out of the crowd. Digital assistant optimization has taken search engine optimization to a new level. Digital assistant is the intelligent assistant used for voice searching with the help of internet. Some of the popular examples of digital assistant are the Google Now, Siri, Cortana, Facebook M, Alexa and a lot more. Digital marketers should be aware of digital assistant and start optimizing their site with digital assistant optimization. Social media is an important part of digital marketing. Social platforms helps users to reach their answers visually. Thus users choose social media rather than searching with a search engine. Social media has made a great impact in business marketing and helps you build a brand in the market. Digital marketers should give attention to social media which can help you market your business easily. Are you in search of a digital marketing company? We can help you with more digital marketing advice and help you build your brand. We provide professional digital marketing services, contact us today!